The ZZ5 is an ultra-high performance tyre ideal for driving enthusiasts and high end sports cars. Constructed with a highly loaded silica tread compound, this tyre provides superior levels of handling in both wet and dry conditions. Thanks to an Intelligent Asymmetric Tread Design which is divided in to three specialist zones, the ZZ5 achieves enhanced wet grip and balanced tread wear. This tyre also provides excellent aquaplaning resistance thanks to continuous central grooves which rapidly evacuate water. 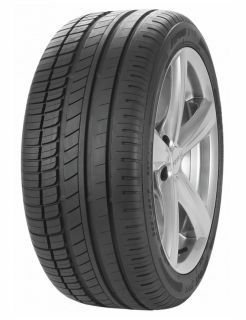 The ZZ5 provides high levels of driving comfort due to Optinoise technology which works to minimise tyre noise. In addition, functional rim flange protectors help to protect expensive alloy wheels.